This post was written by atneprograms and was published on March 18th, 2019 under the categories Events. Alexander Reben will be discussing his exhibition, Creative Work as Adversary: The AI and Machine Art of Alexander Reben at the Urban Arts Media Art Gallery at Emerson College. Reben is an artist and roboticist who explores humanity through the lens of art and technology. Even the title of this exhibition was generated through a neural network, into which Reben fed every exhibition titles of the Museum of Modern Art. The AI generated numerous variants and the artist and curator chose this one. Alexander Reben’s work probes the inherently human nature of the artificial. Using tools such as artificial philosophy, synthetic psychology, perceptual manipulation and technological magic, he brings to light our inseparable evolutionary entanglement to invention which has unarguably shaped our way of being. This is done to not only help understand who we are, but to consider who we will become in our continued codevelopment with our artificial creations. Using “art as experiment” his work allows for the viewer to experience the future within metaphorical contexts. “With a new generation of technology comes a new generation of scientists, scholars, engineers and artists exploring the relationship between people and machines. At the heart of this nexus is Alexander Reben, an MIT-trained roboticist and artist whose work forces us to confront and question our expectations when it comes to ourselves and our creations,” reports NPR’s Tania Lombrozo. Reben’s artwork and research have been shown and published internationally, and he consults with major companies, guiding innovation for the social machine future. He has exhibited at venues including The Vitra Design Museum, The MAK Museum Vienna, The Design Museum Ghent, The Vienna Biennale, ARS Electronica, VOLTA, TFI Interactive, IDFA, The Tribeca Film Festival, The Camden Film Festival, Doc/Fest, and The Boston Cyberarts Gallery. His work has been covered by NPR, The Wall Street Journal, The New York Times, Washington Post, Fast Company, Filmmaker Magazine, New Scientist, BBC, PBS, Discovery Channel, Cool Hunting and WIRED, among others. He has lectured at TED, SXSW, TTI Vanguard, Google, UC Berkeley, SMFA, CCA, MIT, and other universities. Reben has built robots for NASA, and is a graduate of the MIT Media Lab, where he studied human-robot symbiosis and art. He is a 2016-2017 WIRED innovation fellow, a Stochastic Labs Resident, and a recent visiting scholar in the UC Berkeley psychology department. This post was written by atneprograms2 and was published on February 15th, 2019 under the categories Events , Past Events. Join us for a special artist talk with Nancy Baker Cahill. Cahill is a visual artist whose works encompass drawing, augmented reality (AR) and virtual reality (VR) Her one-person exhibition, Hollow Point is currently on view at the Boston Cyberarts Gallery. 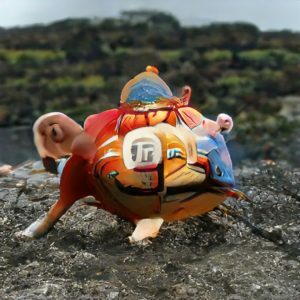 Nancy Baker Cahill is a multi-disciplinary artist and founder of 4th Wall, a free augmented reality app which allows users to place art in 360 degrees anywhere in the world. She also created the ongoing, collaborative, AR public art exhibition Coordinates, a new feature on her app, which allows individual artists to activate their work in site-specific locations. She received her B.A. from Williams College and began her career describing TV and movies for the blind and visually impaired at WGBH in Boston. From 2010-2012 she initiated and led a collaborative art project at Homeboy Industries called Exit Wounds. Works from this project were exhibited throughout Los Angeles as part of the Craft and Folk Art Museum (CAFAM)’s Folk Art Everywhere program. In 2015 she designed and led a collage workshop with homeless individuals under the aegis of a CAFAM grant. She is the recipient of an ARC Grant from the Center for Cultural Innovation, was a featured TEDx speaker in September 2018 in Pasadena, and is profiled in a Bloomberg Media short documentary airing in early 2019. In January of 2019 she will be honored as an Impact Maker to Watch at LA City Hall. Solo exhibition highlights include the Pasadena Museum of California Art, her virtual reality public art project on the IF (Innovation Foundation) sponsored Sunset Digital Billboards, Cyber Arts Gallery in Boston (upcoming), and a VR/AR event at LACE (Los Angeles Contemporary Exhibitions) in April 2018. She has been profiled by Forbes Magazine, ARTnews, the Los Angeles Times, Fast Company, The Smithsonian Magazine, Bloomberg Media, The Art Newspaper, VRScout, ZDNet, KCET’s award-winning Artbound series, Aesthetica, Good Magazine, LA Magazine, LA Weekly, La Stampa, Peripheral Vision Arts and on several podcasts, including Feminist Crush, Bookish, and State of the Art. She served for years as a member of the Hollywood Public Art Advisory Board, is a member of the Pasadena Art Alliance, an Advisory Board member of Fulcrum Arts and Vice Chair of the Board of Directors at LACE. This post was written by atneprograms2 and was published on January 4th, 2019 under the categories Events , Past Events. With the occasion of multimedia installation “Photodotes I: Light Donors” being part of Boston Cyberarts’ “Future of History” group show, this talk unfolds around artworks that embody processes of immaterial transformations such as kinesis/movement. To present these machines that produce effects as well as time-sensitive and ephemeral spaces, the talk employs the term of architectural apparatus. An architectural apparatus can be either an individual structural element with particular forms, materials, textures, and perforations, or an opening and a threshold, or a design of particular scales, geometries, proportions, and dimensions, or a strategically positioning of a building or monument to produce an effect in the eyes of the beholders. The architectural apparatuses can intervene in particular buildings or conditions to either transmit light, or recreate an image to interrupt the daily routine in a building through the production of ever-changing phenomena, or to produce an illusion of infinity. Through this artistic research certain ideas prevail about architectural apparatuses: they are artifacts yet non-representational; they become portals for phantasmagoria; they disrupt the spatial homogeneity and lifestyle monotony; they recalibrate the senses and cognitive abilities of the viewer; they displace temporarily one’s image in relation to the surroundings; they are theatrical, literal, and temporal; they become transitional objects or communicative devices; and they become co-producers of space. Zenovia Toloudi is an artist, architect, and Assistant Professor of Studio Art at Dartmouth College. Zenovia makes art to realize imaginative architectures that generate inclusion through digital and organic media, and to experiment with subjective perception of space and engagement. Her work, poised at the intersection of art and architecture, critiques the alienation of humans from nature and each other and strives to restore broken relationships. Zenovia has exhibited at the Biennale in Venice, the Center for Architecture in New York, the Athens Byzantine Museum, and the Onassis Cultural Center in Athens and won commissions from Illuminus Boston, and The Lab at Harvard. Her work belongs to permanent collections at Aristotle University and the Thracian Pinacotheca. In addition, she has published on bioart, immaterial architecture, and the public sphere in The Routledge Companion to Biology in Art and Architecture, Technoetic Arts Journal of Speculative Research and MAS Context’s issue on the Ordinary. A Research Fellow in the Art, Culture, and Technology Program at MIT and a Fulbright Fellow, she received her doctorate from Harvard’s GSD, a M.Arch. from the Illinois Institute of Technology, and a diploma in Architectural Engineering from Aristotle University. Raised at a periphery of Greece, she works in the Mediterranean and in North America and her fascination with borders is reflected in art that ranges in reference and material across the boundaries of biology and technology. This post was written by atneprograms2 and was published on November 27th, 2018 under the categories Events , Past Events. Join us for a screening of the “San Fransisco Bay Area” episode from Season 9 of Art21, followed by a conversation. Episode Synopsis: A longtime home for political progressives and technological pioneers, the San Francisco Bay Area is a magnet for artists who are drawn to its experimental atmosphere, countercultural spirit, and history of innovation. In addition to presenting three artists working across photography, installation, and new media, this episode features a nonprofit art center, spotlighting multiple artists with physical and cognitive disabilities who work in a range of mediums. The artists in this hour are united by their steadfastness and persistence in creating; their art serves as an essential expression of their experience of the world. Lynn Hershman Leeson was born in Cleveland, Ohio in 1941. At once a pointed critic and a sly practical jokester, Leeson has worked across a wide range of mediums, from drawing, painting, and sculpture to interactive films, net-based media works, and artificial intelligence. Overlooked for the better part of her decades-long career, Leeson is a pioneering multidisciplinary artist, critiquing the deep-seated gender biases that have excluded her and other women artists. This post was written by atneprograms2 and was published on September 26th, 2018 under the categories Events , Past Events. This talk is on Mothers Day and the final day of the exhibition. We would love to see you and your mother! Joseph Farbrook grew up in New York City and Santa Fe. His father was a concrete poet and his mother, a painter. Farbrook creates digital artwork in the form of electronic installations, interactive video, augmented and virtual reality, video sculptures, live performances, and interactive screen projections. He has invented customized media platforms that mix physical and virtual art making practices. Within his work, he explores the evolution and consequences of cultural mythology and mediated perception. 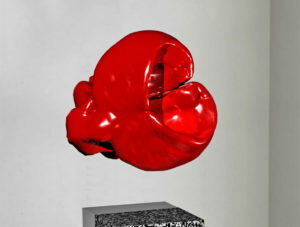 Farbrook exhibits his work regularly in galleries and museums worldwide, including SIGGRAPH, International Symposium for Electronic Arts, Boston Museum of Fine Arts, Watermans Gallery in London, Galerie Vaclava Spaly in Prague, and numerous solo and group exhibitions in NYC, Los Angeles, Boston, Seattle and other cities. Joseph Farbrook is an Associate Professor at the University of Arizona. This post was written by atneprograms2 and was published on April 26th, 2018 under the categories Events , Past Events. 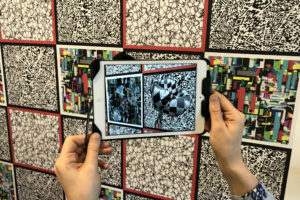 Join in on a special curator’s talk about the history of augmented reality and art while exploring the Boston Cyberarts Gallery Now You See It… exhibit which will be up from Saturday, March 31 to Sunday, May 13. This new exhibition is of augmented reality artworks created by Joseph Farbrook, Carla Gannis, Claudia Hart, Michael Mittelmann and Will Pappenheimer. George Fifield is the founding director of Boston Cyberarts Inc., a nonprofit arts organization, which programs numerous art and technology projects, including the Boston Cyberarts Gallery in Jamaica Plain and two large public LED screens in downtown Boston, Art on the Marquee, on the 80 foot video marquee in front of the Boston Convention Center and the Harbor Island Welcome Center screens in the Rose Kennedy Greenway Conservancy. This year, Boston Cyberarts has curated The Augmented Landscape, large augmented reality sculptures at The Salem Maritime National Historic Site. He was executive co-producer for The Electronic Canvas, a documentary on the history of the media arts that aired on PBS in 2000. Fifield writes on a variety of media, technology and art topics for numerous publications. In 2006, the International Association of Art Critics (AICA) Boston Chapter honored Fifield with the First Annual Special Award for Distinguished Contribution to the Arts Community. In 2007 the Boston Cyberarts Festival was the recipient of the Commonwealth Award in the category of Creative Economy. This post was written by atneprograms2 and was published on April 15th, 2018 under the categories Events , Past Events. Postponed a second time! Another Wednesday, another Noreaster… We are moving this salon back one night to Thursday the 22nd. See you then! Postponed! Due to the possibility of bad weather, we’ve decided to move this event to the 21st. Please join us in two weeks! Caitlin Foley & Misha Rabinovich are recent recipients of a NEFA Creative Opportunity Grant, frequent residents at NYC’s Flux Factory, and have exhibited at venues such as the the New Museum’s Ideas City Festival (NYC), Machine Project (LA), the Everson Museum of Art (Syracuse, NY), SIGGRAPH (LA), and currently at the Open Data Institute (UK). Misha is an Assistant Professor of Interactive Media at UMass Lowell and Caitlin is Assistant Director at Boston Cyberarts and Art Consultant/Curator for the Massachusetts Convention Center Authority. This post was written by atneprograms2 and was published on February 14th, 2018 under the categories Events , Past Events. This post was written by atneprograms2 and was published on November 14th, 2017 under the categories Events , Past Events. ATNE is teaming up with the Boston Cyberarts gallery to explore their current show, Vibrations: A Sound Experience. The show is an interactive sound exhibition with work by MJ Caselden and Derek Hoffend. Come hear both artists talk about their work, with background provided by curator Stephanie Dvareckas. MJ Caselden: I am a sound artist and inventor. I lead a design firm in New York City dedicated to prototyping and innovative use of technology, helping artists and tech companies realize new ideas. My artwork often explores ritualized listening, offered as guided group sound meditations, or as sound-generating sculpture. Resonating sculptures surround listeners, creating immersive listening spaces for self-reflection and contemplation. Recent exhibitions showcase a new invention I call “Magnetic Sound”, sculptures that use varying magnetic fields to induce vibrations in metal and wood. I work with this magnetic energy to create repetitive, mantra-like vibrations conducive to deep listening and meditation. I’ve been exploring integration of these meditative sounds with lifestyle, releasing sculptures for other people to develop their own at-home sound experiences. As the project continues to grow, we are also experimenting with teachers from long-standing healing arts practices such as Asana Yoga, Tibetan Tummo breathwork, acupuncture, and Ch’an meditation. 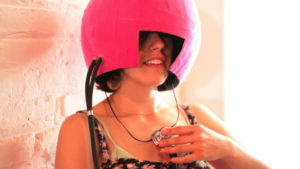 The Magnetic Sound project has grown to include collaboration with tech companies such as Intel, and been featured in art, meditation, and retreat spaces around the world including the New Museum of Contemporary Art, Massachusetts Institute of Technology, Isabella Stewart Gardner Museum, and Times Square. For more information, visit www.magneticsound.com. The Magnetic Sound project is made possible with the support of Harvestworks Digital Media Arts Center, Canon Inc., D.S. Solidworks Corp., Intel Inc., NEW INC, Mombucha Kombucha, and The New York State Council on Arts. Derek Hoffend: My work is characterized by installations that combine sculptural forms with sound and interactive experiences. Pieces explore the intersection of sound as a medium with sculptural forms and structures, as well as light, sites, spaces, and the human body to create immersive and participatory experiences for viewers, employing sonic, electronic, and physical media. Works are often interactive and invite participation through touch or motion, exploring cause-and-effect relationships of viewer action within reactive systems, as well as personal and social dynamics found in play and collaboration. Recent work explores an interest in facilitating somatosensory responses, therapeutic experiences, and shifts in consciousness via direct viewer participation. I am particularly interested in works that create a space where scientific and metaphysical ideas can cohabitate, creating a bridge between the physical and supernatural, and inviting the potential for interplay between sensory and spiritual experiences. To this end, I am inspired by and employ a variety of processes and theories in my work such as vibro-acoustics for haptic experience, entrainment theory (rhythmic, biomusical, and neural), acoustic phenomena such as monaural and binaural beating, and components of sound therapy, sacred-geometry, and color therapy. Biofeedback principles and techniques are also employed such as using heart-rate monitors to trigger external events in the form of sound and light feedback. My music practice includes recording and performing electronic music under the moniker Aether Chroma as well as my own name. 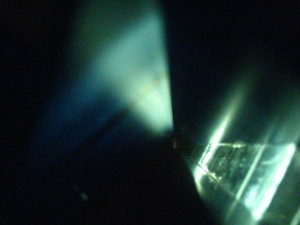 Live performance works have varied between collaborative electro-acoustic improvisation, solo immersive soundscape journeys, and beat-driven electronica working extensively with digital and analog synthesis, software such as Max/MSP, hand-made circuits, field-recordings, and modular synthesizers. Works have been performed or exhibited at Mobius Artist Space (Boston/Cambridge, MA), IBM (Cambridge, MA), Microsoft Start-up Labs (Cambridge, MA), the Distillery Gallery (South Boston, MA), Studio Soto (Boston, MA), Union Square (Somerville, MA), The Enormous Room (Cambridge, MA), sQuareone Studio (Boston, MA), 90.3 WZBC (Boston, MA), Wesleyan University (Middletown, CT), Sonotheque (Chicago, IL), the Museum of Contemporary Art (Chicago, IL), Athenaeum Theater, (Chicago, IL), and Consolidated Works (Seattle, WA). ~~~ Hoffend holds a MFA from the School of the Art Institute of Chicago in Art and Technology (2004), a MA from New York University in Studio Art (2001), and a dual-major BFA from the State University of New York at Fredonia in Sculpture and Photography (1997). He is currently Associate Faculty of Interactive Media at Becker College in Worcester, MA, and Adjunct Faculty in Animation at Massachusetts College of Art in Boston, MA. He lives and maintains a studio in Boston, MA. Stephanie Dvareckas is Assistant Director at Boston Cyberarts and the Art Consultant for the Massachusetts Convention Center Authority. Dvareckas holds a Bachelors in Fine Arts from the Massachusetts College of Art and Design’s Studio for Interrelated Media. Currently, Dvareckas is a candidate for a Masters in Art History, Theory, and Criticism at the School at the Art Institute of Chicago. Dvareckas is the founder and project manager of bostonartguide.org, a responsive website designed to connect artists, dealers, collectors and other patrons of the art world with the Boston art-sphere. She has spoken at several colleges including the Massachusetts College of Art and Design, University of Massachusetts Lowell, Emerson College, and Montserrat. Dvareckas’s latest exhibitions concerning consciousness in contemporary art include Deep in the Dream (Proof Gallery, Boston, May – June 2017); Vibrations: A Sound Experience (Boston Cyberarts, Boston, June – July 2017). Dvareckas has written a research paper entitled Genesis Breyer P-Orridge: Gender, Transformation, and Multiplicity, as well as the foreword for Take Care Magazine and many exhibition catalogs. This post was written by atneprograms2 and was published on June 11th, 2017 under the categories Events , Past Events. ATNE hosts three nights of discussion and exploration related to the Games and Politics exhibition at Boston Cyberarts and the Goethe-Institut. Please join us from 7–9pm on each night for a presentation followed by hands-on interaction with the exhibit. This week Jeff Warmouth & Seth Alter will lead a conversation about Games as Systems. 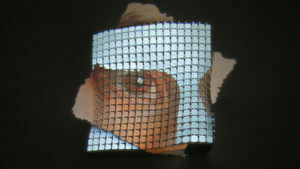 Warmouth’s work has been exhibited and screened internationally, including the DeCordova Museum, Lincoln, MA; John Michael Kohler Arts Center, Sheboygan, WI; Fitchburg Art Museum, Fitchburg, MA; Experimenta Media Arts, Melbourne, Australia; Kaunas Photo Festival, Kaunas, Lithuania; The Window Project, Atlanta, GA; Art on the Marquee, Boston, MA; Boston Center for the Arts, Boston, MA; Art Complex Museum, Duxbury, MA; Boston Cyberarts Gallery, Boston, MA; Art Interactive, Cambridge, MA; SHOW Gallery, New York, NY; University of Massachusetts, Lowell, MA; Pittsburg State University, Pittsburg, KS; Children’s Hospital, Boston, MA; MicroCineFest, Baltimore, MD; Brainwash Film Festival, Oakland, CA. Seth Alter creates political art games that model social systems. Seth takes existing game conventions such as the turn based strategy or the manager sim and deconstructs them to highlight the complicity of the player in a predatory role, while above all showing compassion for the collateral human suffering. Seth has released two games on Steam, Neocolonialism and No Pineapple Left Behind. 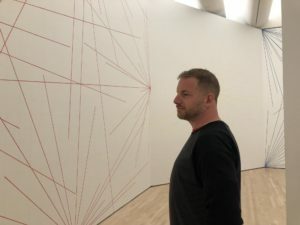 He was recently an artist in residence at the Bemis Center for Contemporary Arts, and was awarded a fellowship by the Massachusetts Cultural Council in recognition of outstanding work. He is currently working on Traitor Nightly, a small game that experiments with narrative. This post was written by atneprograms2 and was published on April 25th, 2017 under the categories Events , Past Events. Composer, digital media artist, and video game developer Ben Houge has long been exploring the intersections of divergent disciplines. Highlights from his twenty-year career in the game industry include serving as audio director of Tom Clancy’s EndWar (2008) and composing the celebrated soundtrack for Arcanum: Of Steamworks & Magick Obscura (2001). His performances, sound art, and generative video have been presented internationally, most recently at Boston’s ILLUMINUS Festival, Music Acoustica in Beijing, and, in collaboration with acclaimed dance group New Movement Collective, at Southbank Centre in London. In 2012 he was a visiting artist at MIT, and he currently teaches iPad programming and digital narrative at Berklee College of Music, having returned to Boston after two years helping to launch a new master’s program in music technology at Berklee’s new campus in Valencia. This post was written by atneprograms2 and was published on April 18th, 2017 under the categories Events , Past Events. George Fifield & Annette Klein are representing Boston Cyberarts and the Goethe-Institut, respectively. This post was written by atneprograms2 and was published on April 16th, 2017 under the categories Events , Past Events. Customization has always been at the heart of couture: the hand-beaded, hand-stitched, one-of-a-kind gown as a unique garment with a specific connection to its wearer. In the exhibition Coded_Couture, on view at Tufts University Art Gallery, until May 21, 2017 curators Ginger Duggan and Judy Fox propose a new definition of couture, in which coding supplants handwork as a means to extreme customization of garments. Judy will introduce the work in the exhibition in this illustrated presentation. 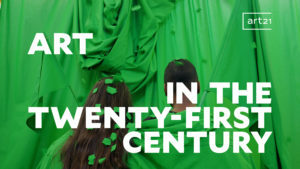 Judy Fox works with co-curator Ginger Duggan, under the moniker c2 (curatorsquared), to develop exhibitions of cross-media contemporary art and design that explore current issues in culture. With an undergraduate degree from Bryn Mawr College and graduate degree from the University of Minnesota, Judy trained at Walker Art Center. She was curator at the Davis Museum and Cultural Center, Wellesley College; Museum of Art, RISD; Institute of Contemporary Art Boston and has been Visiting Curator at Harvard Art Museums and Krannert Art Museum-University of Illinois. Duggan and Fox have organized exhibitions for Boston Society of Architects; Design Museum Holon- Israel; Krannert Art Museum-University of Illinois; Tufts University Art Gallery, Medford MA; Ulrich Art Museum-Wichita State University KS; Zilkha Gallery, Wesleyan University, Middletown CT, Pratt Manhattan, NY and Orlando Museum of Art. Their writing has been published internationally. The Association of Art Museum Curators has recognized their exhibitions with awards and the Andy Warhol Foundation for the Visual Arts, the National Endowment for the Arts and the Elisabeth Stone Graham Foundation have supported their work. This post was written by atneprograms2 and was published on March 19th, 2017 under the categories Events , Past Events. Boston Cyberarts is holding a demonstration of Google’s virtual reality painting software, Tilt Brush. Tilt Brush lets you paint in 3D space within a virtual reality environment. There will be a short demonstration of the technology and then a number of attendees can try it out for 10 minutes each. First come, first serve. We will project what the others are doing so everyone can see the results! This FREE event is a collaboration between Boston Cyberarts, ATNE, and Boston VR. It is open to ALL AGES. Special thanks to Jeffery Jacobson and Josh Widdicombe. This post was written by atneprograms2 and was published on February 15th, 2017 under the categories Events , Past Events. Robin will discuss his recent work on display in the Boston Cyberarts gallery show Constructed Video, as well as the projects that preceded it. 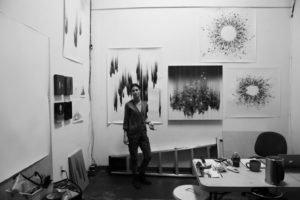 He will focus on the idea of manifesting motion and stillness within a single work, touching on both the technical and conceptual aspects of his practice. RSVP to info@atne.org or on our Facebook event. Space is limited. Robin Mandel is an artist working in sculpture, photography, and installation. Across these media, his work explores the dematerializing effects of time, light, and motion. His exhibition venues include the DeCordova Museum in Lincoln, MA, Real Art Ways in Hartford, CT, Currents 2016 in Santa Fe, NM, the Urban Institute for Contemporary Arts in Grand Rapids, MI, and the Wassaic Project in New York. 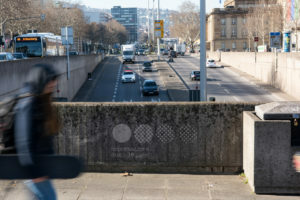 He has also exhibited in Portland (Maine), Boston, Montreal, Venice, Barcelona, and Jerusalem. He has held residencies at the MacDowell Colony, the Fine Arts Work Center, and Anderson Ranch Arts Center, and has been awarded grants from the Rhode Island State Council on the Arts and the St. Botolph Club Foundation in Boston. His teaching credits include the Rhode Island School of Design, the School of the Museum of Fine Arts, Boston, Maine College of Art, and Colby College. He is currently an Assistant Professor of Art at the University of Massachusetts Amherst. He lives in western Massachusetts. This post was written by atneprograms2 and was published on November 19th, 2016 under the categories Events , Past Events. ATNE is pleased to host an afternoon gallery event with two artists, Will Pappenheimer and John Craig Freeman, from ARt: Augmented Reality, the current exhibition at Boston Cyberarts. This will give the public a rare opportunity to converse with artists working at the forefront of the emerging Augmented Reality field. Will Pappenheimer is a Brooklyn based artist and educator working in new media, performance and installation with an interest in institutional or spatial intervention and the altered meaning of things. His work often explores the confluence and tension of the virtual and physical worlds. For the past six years he has pioneered the use of mobile augmented reality as an artistic medium and is a founding member of the international Manifest.AR collective. His projects and performances have been shown at Whitney Museum of American Art, LACMA, Los Angeles; San Francisco MOMA; Stedelijk Museum in Amsterdam; FACT, Liverpool, UK; the Contemporary Istanbul Art Fair and Alt Art Space in Istanbul; Kunstraum Walcheturm, Zurich; Fringe Exhibitions in Los Angeles; the ICA, Boston; the Museum of Fine Arts, Boston; Exit Art and the New Museum in New York; the Corcoran Gallery of Art in Washington; the Golden Thread Gallery, Belfast; FILE, Sao Paulo, BR; Turbulance.org; Xi’an Academy of Art Gallery in China. The artist’s works have been reviewed in Christiane Paulʼs recent historical edition of “Digital Art,” Art in America, New York Times, Hyperallergic.org, WIRED, Modern Painters, the Boston Globe, EL PAIS, Madrid, Liberation, Paris, and Art US. He teaches new and locative media at Pace University, New York. John Craig Freeman is a public artist with over twenty-five years of experience using emergent technologies to produce large-scale public work at sites where the forces of globalization are impacting the lives of individuals in local communities. With his work, Freeman seeks to expand the notion of public by exploring how digital networked technology is transforming our sense of place. Freeman is a founding member of the international artists collective Manifest.AR and he has produced work and exhibited around the world including in London, Mexico City, Calgary, Havana, Kalinigrad, Warsaw, Zurich, Belfast, Venice, Istanbul, Copenhagen, Milano, Sydney, Singapore, Liverpool, Coimbra, Basel, Paris, across America as well as Beijing, Xi’an, Wuhan and Hong Kong. In 2016 he traveled to Wuhan China as part of the ZERO1 American Arts Incubator. In 2015, he was the recipient of a commission from the Los Angeles County Museum of Art’s Art + Technology program. He has also had work commissioned by Rhizome.org and Turbulence.org and he was awarded one of the last Individual Artist Fellowships by the NEA in 1992. His work has been reviewed in The New York Times, El Pais, Liberation, Wired News, Artforum, Ten-8, Z Magazine, Afterimage, Photo Metro, New Art Examiner, Time, Harper’s and Der Spiegel. Christiane Paul cites Freeman’s work in her book Digital Art, as does Lucy Lippard in the Lure of the Local, and Margot Lovejoy in Digital Currents: Art in the Electronic Age. His writing has been published in Rhizomes, Leonardo, the Journal of Visual Culture, and Exposure. Freeman received a Bachelor of Art degree from the University of California, San Diego in 1986 and a Master of Fine Arts degree from the University of Colorado, Boulder in 1990. He is currently a Professor of New Media Art at Emerson College in Boston. This post was written by atneprograms2 and was published on October 1st, 2016 under the categories Events , Past Events.